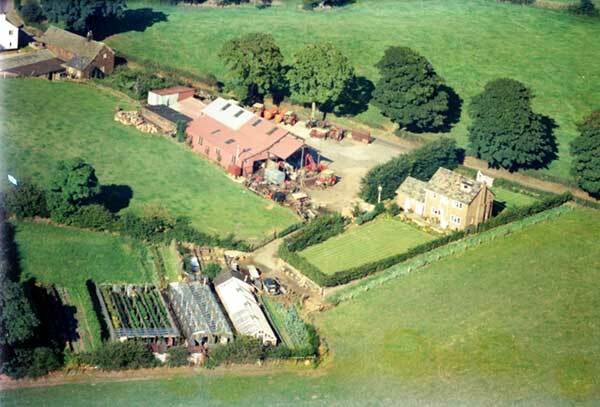 The story of Barlows Agri Ltd. goes back a long way. In fact the company history of Barlow’s dates back to around 1890 when Joseph Barlow moved to Macclesfield to start a business as a ‘threshing machine proprietor’. 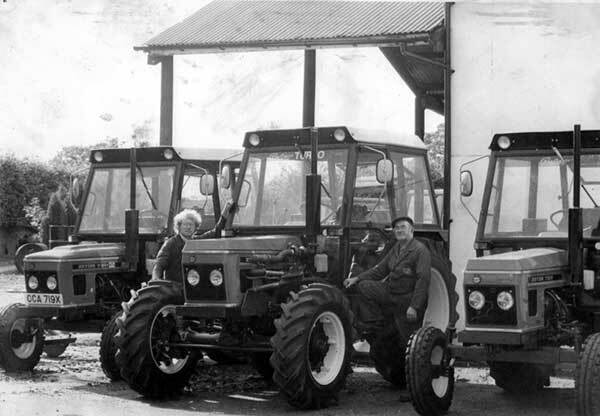 As the business grew, Joseph’s son Harold joined the business and then in time, Harry (Harold’s son) joined in the late 1930’s, by which time the business had moved onto using tractors for the threshing rather than steam engines. One of the tractors used was a 1939 Allis-Chalmers model A which worked right up to 1966 and is still in our family today and is in fully restored condition! One fact about the Allis we know is that from the records we have kept, they show that it has worked in the region of between 32,000 and 35,000 hours and it still has its original clutch, piston and liners!! In 1954 Harry Barlow moved the business to Pump House Works (Henbury). Once the downturn in contracting around this time was thrust upon the economy (due to affordable farm machinery becoming available), Harry began to use his knowledge in repairing his own machinery to carry out repairs to local farmers and also to supply the tractors and machinery. 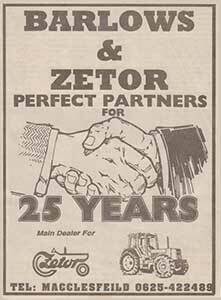 Harry attended the Smithfield Show in 1965 where Zetor Tractors were exhibited for the first time and after appraising the tractor, signed up to be one of the first Zetor dealers in the UK. The first Zetors sold were in the Spring of 1966 and the first supplied model ‘4011’ is now firmly back within the family collection. Barlows Agri Ltd. now have the largest stock of Zetor parts in the UK with over 18,000 different lines and we export parts all over the World. We also sold Renault tractors for over Twenty years until they disappeared into the Claas empire! Moving forward we took on the McCormick franchise in April 2009 as we saw this as a quality product that has been tried and tested for many years. In May 2010 we opened another depot in Leek, Staffordshire, although after moving to our new purpose built premises in November 2015 at Marton which offered much better transport access, in October 2016 we took the decision to close our Leek Depot. In the Summer of 2010 we also took on the Arctic Cat diesel ATV’s which has been a major success. Fast forward to 2012 and we have also taken on the Kawasaki Mule franchise and also been made one of only eight Krone Forage Centres in the UK, being able to supply and service the Krone Self-propelled Foragers, Big Square Balers and Self-propelled Mowers. In November 2015 we moved Barlows Agri Ltd. into purpose built premises at Yew Tree Works in Marton which allowed us to expand to meet the demands of today’s modern machinery and to carry more stock. We also became Suzuki ATV dealers in 2015 to further expand the range of products that we sell and have since also taken on the Quadzilla franchise. In the Autumn of 2017 we took the very difficult decision to change from McCormick to Case IH as our main tractor franchise. As a pro-active business we have always had a tendency to stay with suppliers for a long time, therefore the knowledge gained over many years for spares and repairs means a better service to our customers as you can see by our company history timeline. Today we remain a family business, with Alan and Sally Barlow as the Directors, James Barlow as the Managing Director and we employ 10 members of staff.